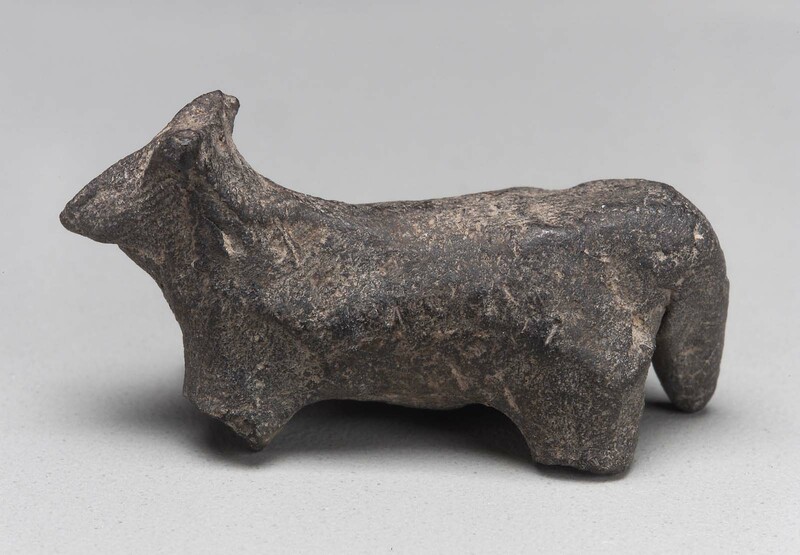 Figurine of a quadruped animal. It is made of lightly fired clay. At least two of the four feet are broken off. The animal has a long snout. The surface is rough.